The Merrimack Jr. Pee Wee Cardinals football team saw its season come to an end in a 28-13 loss to the North Country (Mass.) Panthers in the Pop Warner regional semifinals. 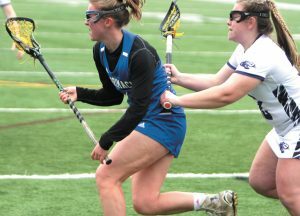 The loss was the first of the season for Merrimack, which was the New Hampshire state champion. Kaiden Orme got the Cardinals on the board first with a 35-yard touchdown run, but North Country came back to lead 14-7 at halftime. The Panthers went up 22-7 early in the second half by returning a turnover for a score. Orme added his second touchdown of the game in the fourth quarter to finish out the scoring.